Enjoy a crisp Autumnal walk in the ocean air alongside the water from Holkham to Burnham-Overy-Staithe. Park up opposite the Estate along the tree-lined Lady Ann’s Drive and make your way down to ‘The Lookout’ café where you can choose to fill up on a delicious breakfast before your walk, or alternatively return for a warming coffee after your stroll. From here, weave along one of the coastal paths through the trees before taking in the sweeping views out over the North Sea. Walk as far as Burnham-Overy-Staithe before returning back to your starting point, perhaps finishing off the trip with a wander through the Estate’s leafy grounds, which will no doubt be a kaleidoscope of colour at this time of year! This romantic moated manor house is the perfect place to enjoy a stunning September saunter, with large grounds offering a Walled Garden, an orchard with beehives, woodlands and a Parterre. Whilst you’re in the area, come and visit our very own Oxburgh at our HQ in Narford, near Kings Lynn, where you can admire the Crane Garden building’s National Trust collection with features such as cast-iron door furniture and vertically-sawn, rustic cut cladding. 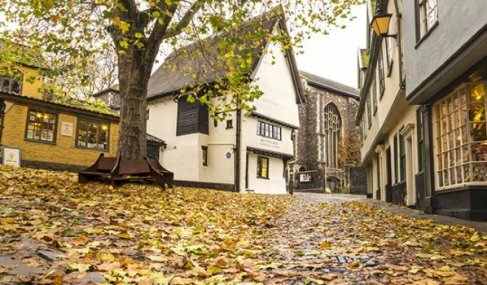 Take a stroll along the charismatic cobbled streets of Norwich, taking in the chocolate-box houses and scenery, particularly in the area of Elm Hill. Follow alongside the River Wensum for picture-perfect reflections of the historic city sparkling atop the waters’ surface, or instead stay central to enjoy the fantastic shopping choices. Alternatively, Norwich Cathedral offers solemn beauty and breath-taking architecture nestled among the bustling city. Although not in Norfolk, just over the Suffolk border lies miles upon miles of untouched forest just waiting to be explored at Thetford Forest Park. During this time of year the colours are truly a sight to behold. 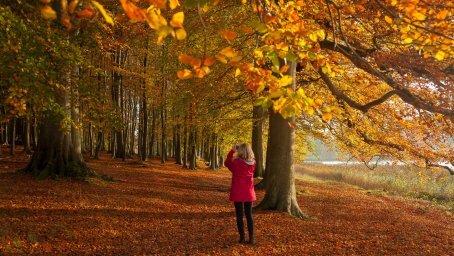 What better way to enjoy this colourful season than to put on your comfiest walking shoes, your warmest pull over and head out into the woods for a mesmerizing meander around Lynford Arboretum before stopping at a true country pub for some delicious food. 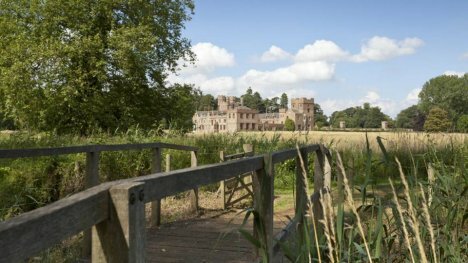 Being dog friendly and boasting a 4.5 mile circular walk, Blickling Estate offers the ideal misty-morning stroll through parkland, woodland and with some historical landmarks on the way. There is also a choice of two other routes available to see online, which cover shorter distances of 1.8miles. Just a short distance away, Crane HQ has their very own Blickling on display, a rustic, high-quality garden shed with built-in log store. You are welcome to pay us a visit to view our entire collection of timber buildings and to speak to a friendly expert about your own requirements.